I did a lot of baking in the summer of 2009. So much in fact that I forgot about these decadent creations. Also from Bakerella, these Oreo Cookie Truffles and Peanut Butter Balls are so incredibly good, that I am currently obsessing about all the wasted time I've spent over the past few years not eating them. How have I only made these once!?! 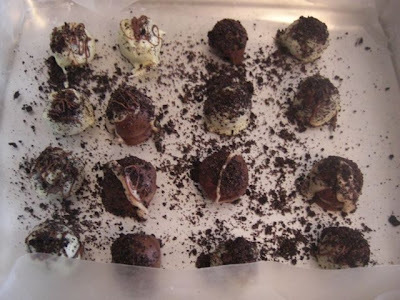 They are made from mixing a crushed up bag of cookies (oreos or peanut butter creams) with a package of cream cheese. 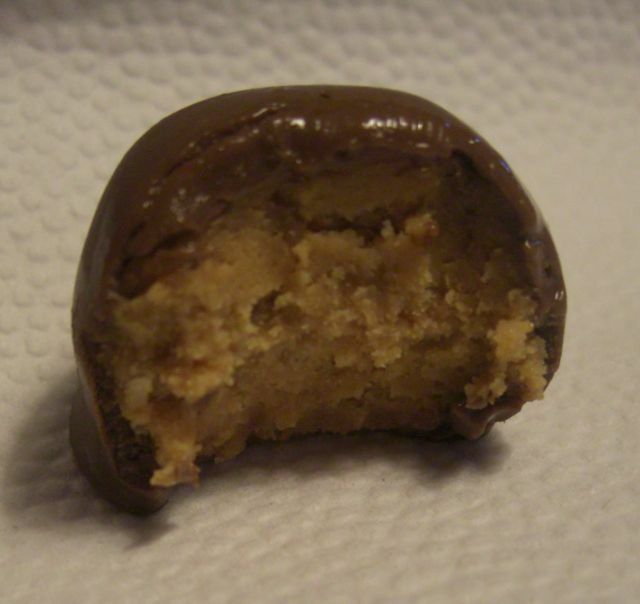 Then they are gloriously dipped in chocolate (milk or white). So freaking good! They are also bite sized so you luckily cannot have just one. 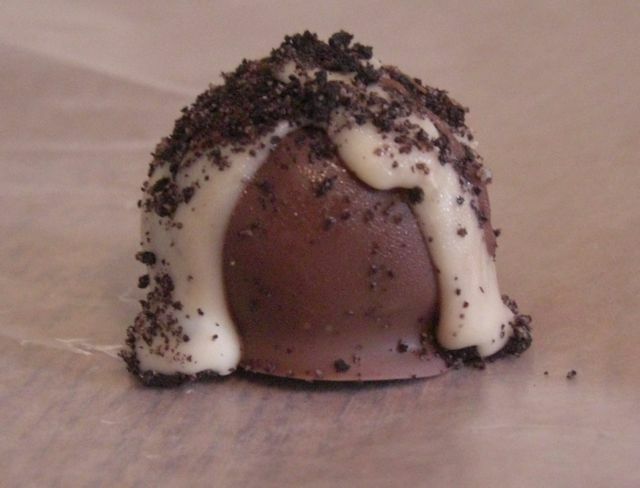 Even if I don't make these for Valentine's Day, they NEED to be made soon. Super yum!! I can't eat any of those right now but they do look tasty. And thanks for the sweet comment and thoughtful words. Trust me though, I'm not beating myself up. Now we move from here and that part, excites me.